Mental health organizations were strongly affected by the passage of the federal Community Mental Health Centers Act of 1963, which accelerated innovations in the delivery of services. The community mental health program reflected the Zeitgeist of the 1960s when numerous movements centering around the rights of underprivileged social categories emerged. In contrast to earlier dynamic psychotherapy, which focused on intrapsychic conflicts, the community mental health movement emphasizes the role of sociocultural forces in emotional and behavioral disorders. Furthermore, it was not feasible for CMHCs to use long-term intensive therapy with most of their clients, not only for economic and manpower reasons but because of the difference in clientele, many of whom were poorly educated and lacked the minimal amount of sophistication needed to submit to and benefit from psychodynamic therapy. Another important influence in the shift to briefer, more directive therapies was the increasing prominence of behavior therapy in the 1960s, which not only emphasized direct intervention in specific problems but also denied the validity of dynamic theories that were the basis of in-depth therapy (Garfield 1971). Another area of expansion and innovation in agency services has been in industrial settings. Counseling and referral services, or employee assistance programs (EAPs), have taken the lead among non-public agencies in the identification of individuals in need of mental health services. These programs originated as a management response to the economic effects of alcoholism in the workplace. The rationale for the programs is that employers have the right to intervene in employees’ personal problems if those problems affect work performance. Managers and supervisors, although not qualified to make diagnoses, can identify poor job performance and can be trained to refer subordinates whose problems are affecting their work to the employee assistance program (Trice and Roman 1972). The staffs of these programs soon found that the personal problems of employees referred for poor work performance were not limited to alcoholism but included many other categories, such as emotional disturbance, drug abuse, marital and family problems and gambling. Therefore, the programs were expanded to deal with the whole range of mental health problems that appear in the workplace. The programs have been relatively effective because employees are faced with the alternatives of acceptance of referral for help or loss of their jobs. In many organizations EAPs also provide services to immediate family members of employees. Large organizations generally have internal EAPs staffed by personnel with some training in counseling. The programs tended to be staffed originally by appointments from within the organization, usually individuals from the medical or personnel departments. In many cases the program director was also a recovered alcoholic who had been through a rehabilitation program. As the programs mature and encounter the whole range of personal and emotional problems, however, they include professionals in their staff, some of whom are psychologists or psychiatrists but most of whom are social workers. Smaller companies use outside agencies, sometimes under a consortium arrangement. Most employees who use the programs have been referred by their supervisor, although employees are encouraged to seek help without referral through pamphlets and other internal publicity given to the program. Many of the larger unions have also set up assistance programs and union personnel frequently work with company staff to help employees since the policy underlying the programs is that employees will not be penalized if they accept treatment. The EAP staff does minor counseling but its primary function is referral of troubled employees to outside resources. Because of the expanding demand for treatment of referred employees, many specialized voluntary and private agencies have been established for the express purpose of providing such services. Some agencies specialize in training EAP staff, some in training managers and supervisors in how to identify and refer problem employees, some in diagnosis and referral, some in treatment and some perform several or all of these functions for industrial clients. Most organizations cover the cost of treatment for the employee to some extent, either through insurance or direct subsidy. Many large companies have turned to self-insurance plans to reduce costs and are using HMOs or PPOs. More and more companies can be expected to introduce EAPs since they have been effective in reducing employee absenteeism and turnover, enhancing productivity and lowering health-plan utilization. A further incentive for the spread of these programs is their ability to protect employers from liability under federal rehabilitation laws, the Civil Rights Act of 1987 and Drug-Free Workplace Act of 1988 (Farkas 1989). Community mental health centers became involved in industrial programs relatively late in their development. As Foote and Erfurt (1980) have pointed out, publicly-funded agencies were primarily organized for the purpose of providing services to those who could not afford private treatment. Therefore, employed persons were expected to seek help from private practitioners and agencies. The increasing availability of third-party payment, however, created an incentive for CMHCs to form links with EAP staffs. Foote and Erfurt also point out that these arrangements can be mutually beneficial since the programs obtain needed services and the centers not only receive additional income but also feedback on the effectiveness of their services through the routine workplace monitoring. The industrial programs are important because they are bringing mental health services to many individuals who would otherwise not seek help and are leading to the establishment of new kinds of voluntary and private agencies in the mental health field. Most self-help groups emerged to deal with problems that were not being adequately addressed by professional organizations or government agencies. Alcoholics Anonymous is the best known of the self-help organizations and its effectiveness has led to many other ‘anonymous’ groups, such as over-eaters, gamblers and spouse abusers. The categories of problems around which self-help and other lay organizations have been formed are now numbered in the hundreds. These groups use peer therapy and usually are run by lay people, but many have part-time or even full-time professionals on their staffs. Special services are continually being developed for people with unique social circumstances. Programs are offered for families in which both parents are employed, remarried families, children and adolescents who have been indoctrinated by cultists and many other new categories. These agencies have also developed specialized staff, such as self-help workers, who may organize and direct community volunteers. The agencies train volunteers to work in mental health areas and run clinics to help people to cope with unemployment, chronic family illness and other situational problems. Another prominent function that agencies have added to their role is that of marketing mental health services. Because of the vast potential for extension of services to the many smaller industrial companies and government agencies that have not yet established EAPs, mental health agencies are heavily engaged in marketing. In their outreach efforts they not only seek new industrial clients but are also continuing to extend their services to cover new areas. Marketing is done through sophisticated programs that include personal contacts with key managers and the use of attractive brochures and flyers that emphasize the cost-effectiveness of their services. Marketing has, indeed, become such big business that there is now a proliferation of conferences and workshops on how mental health services can be effectively sold to industry. Agencies are vigorously developing and marketing prevention and health promotion programs that are being offered to industry as supplemental benefits to the diagnostic and treatment service plans. Among the areas covered are pre-retirement counseling, pre-severance counseling, coping with stress, how to elicit accurate information from physicians about the prognosis for sick relatives and how to inform a physician that another opinion is desired before a decision is made on treatment. It is likely that agencies will continue to expand into the physical health area, following the trend in the general field of mental health. Mental health services are already being provided in some medical settings by a wide array of professionals and paraprofessionals (Friedman and DiMatteo 1979; Weiss 1976). There is also growing interest in the development of multivariate paradigms that include the biological, psychological and sociocultural variables that interact to determine human health (for example, Jenkins 1979). One outcome of attempts at cost containment will undoubtedly be better co-ordination among agencies providing mental health services. The Health Services and Centers Amendments of 1978 to Public Law 95-626 mandated co-ordination of health and mental health services by agencies receiving federal funds (Goldman, Burns and Burke 1980). It is the HMO that has the greatest potential for providing integrated, comprehensive healthcare to broad segments of the population (Brown 1985). HMOs are based on a principle of prepaid healthcare under a group-practice plan. The prototype for the HMO was an organization that used a mutualized-cost system to provide direct healthcare services to Venetian seamen in the thirteenth century (Saward and Fleming 1980). By the 1930s a number of limited-enrollment, group-practice plans had begun to operate in the United States. Concern over spiraling costs of health care led to passage of the Health Maintenance Organization Act in 1973. This Act provided for several types of financial assistance to developing HMO programs, with aid differing according to whether an HMO was operating on a non-profit or profit basis. Some associations of individual practitioners are also eligible for the financial benefits under the HMO regulations. Any HMO receiving federal assistance must provide basic health services on a prepaid basis to an enrollment group that includes the various age, social and income categories within the area it serves. HMOs, at their option, may provide supplemental health services on either a prepaid or fee-for-service basis. Some of the older HMOs have been providing mental health services within a comprehensive health plan for decades and their experience is of increased interest with the official policy shift toward integrated services. Incorporating mental health services into general healthcare has been shown to result in a net savings in costs resulting from the reduction in use of medical services (Cummings 1977; Jones and Vischi 1979). Some neighborhood centers have also integrated health and mental health services in a comprehensive care system. One study of such neighborhood centers found that almost half of all referrals to the mental health programs had been first identified as in need of such services by their general health staff (Borus et al. 1974). Another advantage of integrated services, particularly for less educated populations, is that clients feel less stigmatized in seeking mental health services at a center that provides a wide range of health and social services. Both the CMHCs and the HMOs are already doing some work in the area of prevention and health promotion. Preventive services are, however, not yet well developed since most health providers still adhere primarily to the remediation model. People tend to seek help only when they are suffering and most of the HMOs do not, in practice, encourage the routine visits and examinations that they promote in their literature. The CMHCs and the HMOs generally do not have adequate resources to implement more than token efforts at prevention and health promotion. It is also much easier to persuade individuals and funding sources to take action that brings short-term, identifiable results than to take action that promises long-range benefits but requires immediate costs. Furthermore, preventive programs tend to suffer even more than treatment programs from difficulties in evaluation and documentation of results. In contemplating the future of mental health organizations, it is necessary to consider not only agencies that deliver services but also those that influence the manner in which services are delivered. In this latter category are the professional associations of mental health practitioners, which have become more directly involved in issues affecting professional practice. Traditionally, these professional associations have defined the standards for entry into the professions and have had the responsibility for policing the ethics of the professions. They have promulgated codes of ethical behavior and developed procedures for enforcing them. Though determination of malpractice is the responsibility of government agencies and the courts, these institutions rely heavily upon standards established by the professions and upon the collaboration of the professionals in identifying deviations from these standards. As long as the service transaction was confined to the provider and recipient, there was little objection to accepting these arrangements as sufficient to ensure competent, responsible practice. For the most part, there was no systematic way of examining practice more closely since there was no way for an outside party to discover what took place in the confines of the private service transaction. Accounts of unethical or incompetent practice came to light primarily on the initiative of offended patients. Matters changed with the advent of third parties who provided and/or administered funds to pay for mental health services. As these services became accessible to many more people, utilization and costs increased. Along with this came demands for greater accountability on the part of providers. These demands received impetus from the rise of the consumer movement, through which, in organized voice, consumers insisted that providers be held more strictly accountable for the services they provide. Professional associations were called upon to go beyond establishing competency levels for entering the professions, and beyond ensuring ethical practice, to the development and enforcement of standards of good practice. One step in this direction was the formulation and refinement of theoretical conceptualizations and practice procedures. The revision of the Diagnostic and Statistical Manual of Mental Disorders, the Publication of Standards for Providers of Psychological Services and the acceleration of evaluation research were efforts to improve the quality of services. Much of the impetus for these developments emerged from within the professions and they have been cited in public pronouncements as evidence of effective self-improvement. Other efforts focused upon programs of continuing education for practitioners to keep them abreast of new discoveries and to improve their skills. Increasingly, state licensing agencies are requiring evidence of continuing education before issuance of license renewals. The professional associations have developed mechanisms for accrediting continuing education facilities and for certifying the continuing education activities of practitioners. The main effort to ensure accountability has been the development of systems of peer review. The administrative structures that were created to fund services through third parties provided a convenient vehicle for implementing peer review systems. The first peer review systems were voluntary and minimally implemented. They came into being with the extension of private health insurance coverage to include mental health conditions. This involved both the mental health professions and the insurance carriers in unfamiliar activities and each had much to learn about the practices of the other. The American Psychiatric Association and the American Psychological Association each set up Professional Standards Review Committees (PSRCs) to assist the insurance carriers in administering these programs in accordance with standards of good practice established by the professions. Questions by the insurance carriers about acceptable professional practice, or by the provider about the carrier’s procedures, or by the insured about the policies and procedures of providers and carriers, were referred to the PSRC for an advisory opinion. This opinion was based upon the standard of usual and customary practice. Most of the inquiries came from the carriers, but even these were very few. As a result, most practitioners were never subjected to such a review. Peer review entered a new phase in 1972 with the passage of Public Law 92-603, which created Professional Standards Review Organizations (PSROs). The costs for federally-supported healthcare programs such as Medicare, Medicaid, and Maternal and Child Health Care were increasing so rapidly that the government sought ways of ensuring that it was paying only for necessary and effective services. PSROs were put into place as a national system of peer review to apply to all health services, including mental health services, that were fully or partially supported by federal funds. The law called for a review of all services and the establishment of criteria to determine which cases should be referred for review by peers. The new law mandated the establishment of PSROs and invited the professional associations to collaborate in implementing the program. In 1977 the Civilian Health and Medical Program of the Uniformed Services (CHAMPUS), which provides health services for retired military personnel and the families of active military personnel, contracted with the American Psychiatric Association and the American Psychological Association to establish peer review programs for their respective disciplines. These professional associations were required to review all services on a regular and continuing basis to determine whether the services paid for under this health insurance program were necessary and effective. Each APA established an Office of Qgality Assurance to conduct these activities. A number of private insurance carriers have contracted with the two professional associations for utilization of their peer review services and have been increasing the number of cases they refer for review. Quality assurance has thus become an integral part of professional association activities. It is reasonable to anticipate an interaction between peer review and continuing education activities. As review identifies areas in which practice is weak, the educational facilities will be alerted to offer education and training in those areas. Practitioners may be directed to specific continuing education courses when the review determines that this is necessary. In time, peer review activities may be expected to become part of the prelicensure training programs, so that they will be considered to be as much a part of professional practice as is the delivery of services. Accountability measures will increasingly become an integral part of professional practice. They will probably be mediated by the practitioners’ professional associations, if only to avoid their being administered by public or private agencies outside the professions. Healthcare in the United States is faced with the phenomenon of rapidly increasing health care costs while 35 million people have no health insurance coverage at all. Public opinion surveys have consistently shown that more than two-thirds of Americans favor some form of national health insurance. The ‘free-market’ alternative to ‘socialized medicine’ may, however, be an expansion of ‘managed care’, as exemplified by PPOs. Since, by design, the economic forces of the market-place will bear heavily upon these organizations, a system of quality assurance will be necessary to ensure that high standards of service are sustained. It is likely that peer review procedures will be expanded to cover these organizations. Whether the quality of service can withstand the onslaughts of market forces will probably depend upon whether managed-care organizations are subject to external peer review (for example, conducted by professional organizations) or are permitted to engage in in-house review. 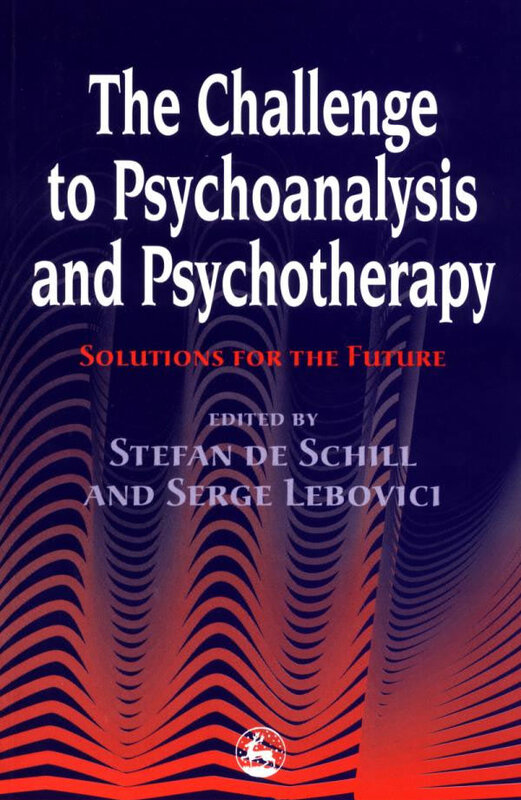 Long-term psychotherapy, particularly psychoanalysis, will continue to decline. Treatment will be more focused, directed at the rehabilitation and/or relief of behavioral dysfunction. There will be more organizations dealing with specific problems or areas of dysfunction, given the current acceleration of the trend toward specialization. The role of interventions other than psychotherapy will increase. Family therapy will be more prevalent. Mental health activities will be integrated into a total health treatment program, probably mandated by the federal government. Since present government policies on reimbursement for the care of the indigent mentally ill have led to their being warehoused in restrictive and custodial private nursing and boarding homes, there will be major changes in social policy to tighten regulation of proprietary care. Agencies will increasingly be held accountable for their services, particularly through peer review mechanisms. The review process will address the appropriateness and the effectiveness of services. Under terms of some new contracts, hospital payments for medical care are already linked to clinical outcomes (Silver 1990). Market pressures will promote the development of service delivery mechanisms that will contain costs and permit a more accurate projection of costs. Care will be more competitive, with investor-owned, fee-for-service as well as non-profit organizations. Foremost among these mechanisms will be a variety of prepaid arrangements that will incorporate peer review procedures to monitor the appropriateness and effectiveness of the services. Computerized treatment plans will become more common as a cost-effectiveness measure. Third-party reimbursement for mental healthcare will be managed by being limited to a particular plan. Lay advocacy organizations will continue to emerge and to have increasing impact on mental health policies. Families of patients and ex-patients are continuing to form groups to lobby for research in mental health. Some of these organizations, such as the National Alliance for the Mentally Ill, do not admit mental health professionals—their rationale being that consumer and professional interests do not always coincide. Other citizen-advocacy organizations focus on specific illnesses, such as schizophrenia and depression (Pardes, Silverman and West 1989). New organizations will emerge to provide mental health services necessitated by the spread of the autoimmune deficiency syndrome (AIDS), which, although a public health issue, is unique in its social ramifications (Daedalus 1989). People dying of AIDS present different problems from people dying of most other causes because of stigmatization. Asymptomatic people with human immunodeficiency virus (HIV) and other persons concerned about becoming infected are also clients for whom specialized agencies and organizations will emerge. For-profit organizations for the aggressive marketing of mental health services will proliferate. Mental health agencies will need to provide services to ameliorate the effects of the frequent job dislocations on a permanent ongoing basis. These will be services of primary importance built into the social fabric. It is probable that such services will become part of industry’s responsibility for the occupational health and safety of their employees. Increased longevity will lead to later retirement for most workers. In many cases this will mean a change in the type of work to make the demands compatible with the worker’s age. Mental health services will be needed to manage these job changes. Technological advances will result in increased leisure time, with fewer hours spent in the production of materials and goods and more in service, recreational and cultural activities. Our hierarchy of values will need to change to provide greater respect and rewards for these latter activities. Berger, P., Hamburg, B. and Hamburg, D. (1977) ‘Mental Health: Progress and Problems’. Daedalus, 106 (1), 261-276. Black, J.L. and Bruce, B.K. (1989) ‘Behavioral therapy: A clinical update’. Hospital and Community Psychiatry, 40, 1152-1158. Borus, J.F., Janowitz, L.A., Kieffer, F., Morrill, R.G., Reich, L., Simone, E. and Towle, L. (1974) Neighborhood mental health centers: The mental health delivery system of the future. Paper presented at the meeting of the American Public Health Assn., New Orleans. Brown, P. (1985) The Transfer of Care: Psychiatric Deinstitutionalization and its Aftermath. London: Routledge & Kegan Paul. Bureau of National Affairs (1986) Work and Family: A Changing Dynamic. Cummings, N.A. (1977) ‘The anatomy of psychotherapy under national health insurance’. American Psychologist, 32, 711-718. Daedalus (1989) Living with AIDS. Cambridge, MA, 118, (2 & 3). Eisenberg, L. (1977) ‘The search for care’. Daedalus, 106 (1), 235-246. Engel, G. (1977) ‘The need for a new medical model: Challenge for biomedicine’. Science, 196 (4286), 129-136. Farkas, G.M. (1989) ‘The impact of federal rehabilitation laws on the expanding role of employee assistance programs in business and industry’. American Psychologist, 44, 1482-1490. Foote, A. and Erfurt, J.C. (1980) ‘Prevention in industrial settings: the employee assistance program’. In R.W. Price, R.F. Ketterer, B.C. Bader and J. Monahan (eds) Prevention in Mental Health: Research, Policy, and Practice. Beverly Hills, CA: Sage Publications. Friedman, H.S. and DiMatteo, M.R. (1979) ‘Health care as an interpersonal process’. Journal of Social Issues, 35 (1). Garfield, S. (1982) ‘Psychotherapy: A 40-year appraisal’. American Psychologist, 36, 174-183. Goldman, H.H., Burns, B.J. and Burke, J.D. (1980) ‘Integrating primary health care and mental health services: A preliminary report’. Public Health Reports, 95 (6), 535-539. Ilgen, D.R. (1990) ‘Health issues at work: opportunities for industrial/organizational psychology’. American Psychologist, 45,273-283. Jenkins, CD. (1979) ‘Psychosocial modifiers of response to stress’. Journal of Human Stress, 5 (4), 3-15. Jones, K.R. and Vischi, T.R. (1979) ‘Impact of alcohol, drug abuse and mental health treatment on medical care utilization: A review of the research literature’. Medical Care, 17 (12), (Suppli.). Judd, L.L. (1990) ‘Putting mental health on the nation’s health agenda’. Hospital and Community Psychiatry, 41,131-132,134. Kiesler, C.A. (1980) ‘Mental health policy as a field of inquiry for psychology’. American Psychologist, 35, 1066-1080. Kiesler, C.A. and Sibulkin, A.E. (1987) Mental Hospitalization: Myths and Facts about a National Crisis. Newbury Park, CA: Sage. Klerman, G.L. (1977) ‘Mental illness, the medical model, and psychiatry’. Journal of Medicine and Philosophy, 2, 220-243. Knowles, J.H. (1977) ‘The responsibility of the individual’. Daedalus, 106 (1), 57-80. Liem, R. and Liem, J.H. (1988) ‘Psychological effects of unemployment on workers and their families’. Journal of Social Issues, 44, 87-105. Matarazzo, J.D. (1982) ‘Behavioral health’s challenge to academic, scientific, and professional psychology’. American Psychologist, 37, 1-14. Miller, N. (1978) ‘Biofeedback and visceral learning’. Annual Review of Psychology, 29, 373-404. Offerman, L.R. and Gowing, M.K. (1990) ‘Organizations of the future: Changes and challenges’. American Psychologist, 45, 95-108. Pardes, H., Silverman, M.M. and West, A. (1989) ‘Prevention and the field of mental health: A psychiatric perspective’. Annual Review of Public Health, 10,403-422. Reiser, S.J. (1981) ‘Valuing the patient’s views: A problem for public policy’. Annals of the New York Academy of Sciences, 368, 17-22. Saward, E.W. (1977) ‘Institutional organization, incentives, and change’. Daedalus, 106 (1), 261-276. Saward, E.W. and Fleming, S. (1980) ‘Health maintenance organizations’. Scientific American, 243 (4), 47-53. Silver, G.A. (1990) ‘Paul Anthony Llembcke, MD., MPH: A pioneer in medical care evaluation’. American Journal of Public Health, 80, 342-348. Trice, H.M. and Roman, P.M. (1972) Spirits and Demons at Work: Alcohol and other Drugs on the Job. Ithaca, NY: New York State School of Industrial and Labor Relations: Cornell University. US Public Health Service (1978) Disease Prevention and Health Promotion: Federal Programs and Prospects. Report of the Departmental Task Force on Prevention. Washington, DC: DHEW (PHS) Publication No. 79-55071 B. US Public Health Service (1979) ADMHA Five-Year Plan. Washington, DC: Department of Health, Education, and Welfare. Weiss, S.M. (ed) (1976) Proceedings of the National Heart and Lung Institute working conference on health behavior. Bethesda, MD: Department of Health, Education, and Welfare. Publication No. (NlH) 76-868. Zedeck, S. and Mosier, K.L. (1990) ‘Work in the family and employing organization’. American Psychologist, 45, 240-25 I.
Zimet, C.N. (1989) ‘The mental health care revolution: will psychology survive?’ American Psychologist, 44, 703-708.